Ah, another newspaper for this week has been releases. We're currently on the issue #434! That's a lot of newspapers! 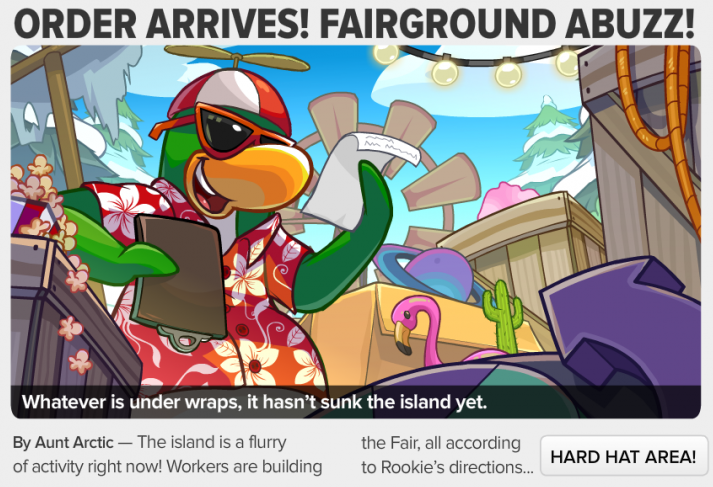 Club Penguin releases a new newspaper every week. This week Aunt Arctic talks to us about the upcoming fair. 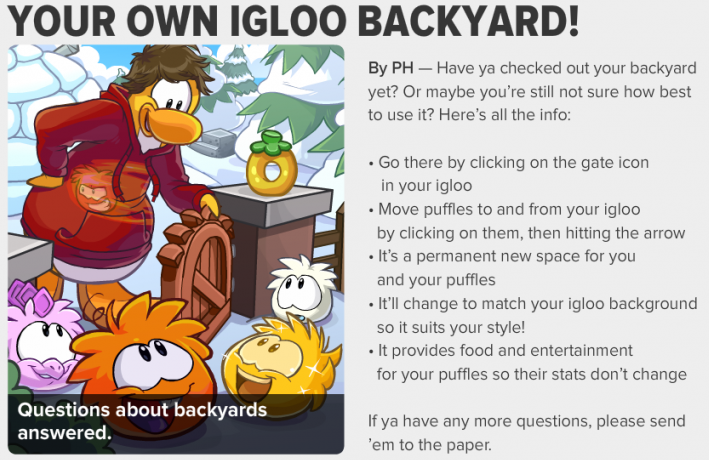 I guess some penguins we're confused about how to use the igloo backyards so the Puffle Handler explains it for us. And now we're right back to the upcoming events. The fair starts next week on February 20! We won't have another Penguin Style Catalog until March 6. The Fair is nearly here so be sure to play a lot of games and save up those coins! There will be a new pin next week so don't forget to pick up the latest pin at the hidden lake.